Do you guys know about Yummly.com? It’s like Pinterest, but just for recipes. If you enjoy cooking or even just checking out recipes that you might get around to cooking someday, then you should definitely sign up! It’s so easy to use…you just click a recipe to “Yum” it (like it) and it adds it to your page. You can choose to categorize or not, and even that’s easy to do with just one more simple click. 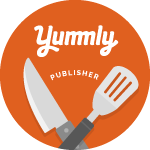 You can browse the recipes on the website, the mobile app, and you’ll find a Yum button on many blog sites too! 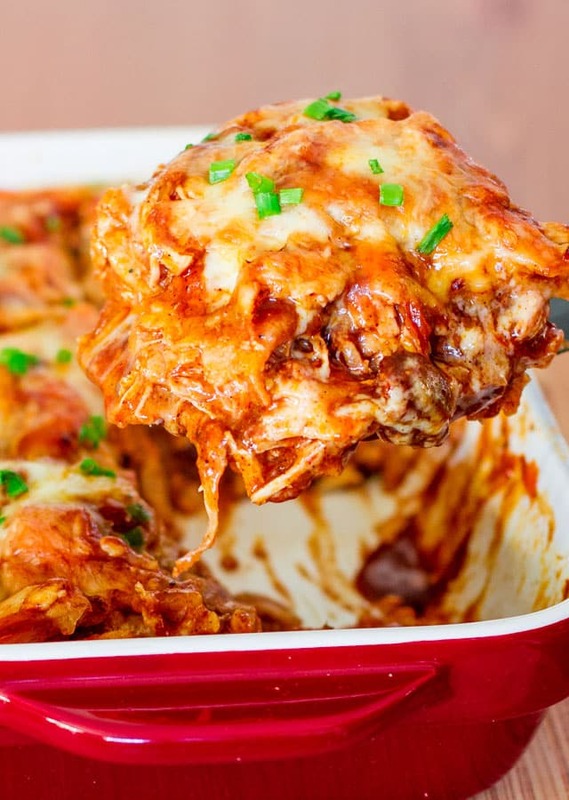 Anyway, this Easy Chicken Enchilada Casserole from Jo Cooks popped up on Yummly home page today and it looks soooo good. I’m trying it soon! Another recipe that popped up on my Yummly feed is this one for Lemon Sugar Cookies from Melissa at Modern Honey. I love any kind of lemon desserts and I’m always on the look out for good sugar cookie recipes. My oldest son does not like chocolate…have you ever heard of such a thing?!? So I like to find desserts that he’ll enjoy and I think we’d both love this one! And how gorgeous is this photo? Next up is a cocktail that I’m dying to try out…a perfect spring version of a Moscow Mule. This Blueberry Moscow Mule from Carly at Lipstick & Crayons combines the classic mule flavors – ginger beer, lime and vodka – with a blueberry simple syrup. Sign me up, please! I’m not sure if we’re behind on the times on this? (Wouldn’t surprise me one bit if we were, lol!) But my daughter came home from a sleepover a few weeks ago and said she wanted a Wet Brush because it was so nice and didn’t hurt. My girl has major snarls and hates brushing her hair so I didn’t even hesitate to get her one of these. And it is every bit as good as she said! I even use it on my super thick, curly hair and it glides right through. 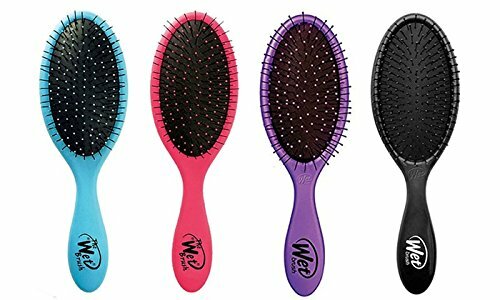 If you have hair brushing struggles going on in your house, get yourself one of these asap! The wet brush is EVERYTHING!! We just bought one too and it’s AMAZING the difference that it makes!!! And ps – that casserole and those cookies are making me drool on my keyboard. OMG. Isn’t that brush awesome Kelsey? Maren and I are both loving it! Okay, full disclosure, I have never tried Yummly. You may convince me though! EVERYTHING you shared looked amazing! I’m working on a lemon cookie recipe now. I vote that we should just put lemon in all food. I feel like this is my new strategy for life. 😉 Great post, Stacy! 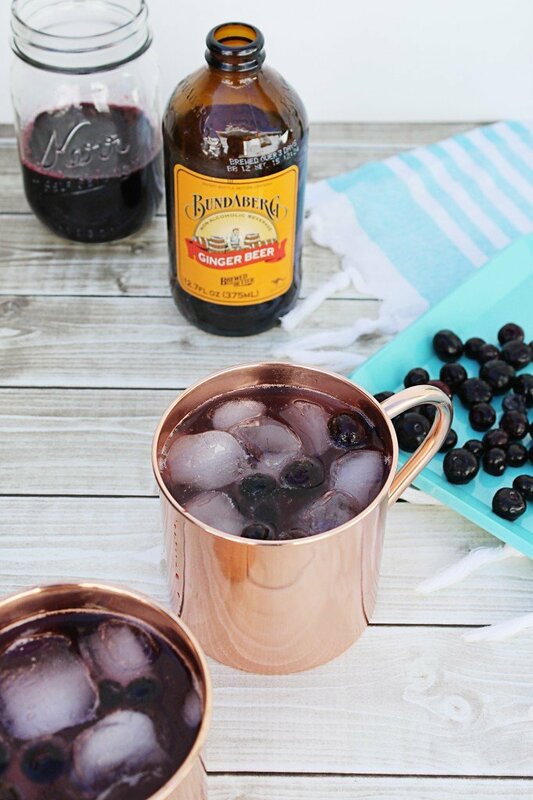 BLUEBERRY MOSCOW MULES! umm yum, this will be on list soon! And enchilada anything is always a crowd pleaser! Definitely have to check out that Wet Brush. And that Chicken Enchilada Casserole, ummm YUM!!! Ive never heard of a wet brush but I am definitely going to have to try that out. Brushing my hair is one of my least favorite things. Also those lemon cookies look DELISH! I pinned that recipe for the chicken enchilada casserole! Thanks for the heads up. It looks yummy and so easy! Great list! You’ve made me hungry, and I would love to try out that wet brush!